‘Knowledge is Power.’ This quote by Sir Francis Bacon was the premise of a speech presented on behalf of New Zealand’s Minister for Disability Issues by Hon. Tariana Turia, at the kick-off seminar for their observance of ADD/ADHD Awareness Week. And although this quote can be used in a myriad of contexts, on this particular subject, it is the epitome of truth. There is much we don’t know about ADHD – what everyday life looks like for those who have been diagnosed, what causes it, how we can better support (in personal ways, and via our health care system) further research and understanding. While no one person holds the answers to these queries, there is still much we can learn. In 2003, the U.S. Senate passed their first resolution regarding the observance of ADHD Awareness Week. Since then it has become an annual event, as people around the world take part in community-organized events, seminars, and fundraisers – all designed to empower those with the disorder, and to further understanding about this (often misunderstood) condition. This year’s event is occurring this week (September 14th – 20th) and whether you are showing your support by participating in a local event, or wearing an orange ribbon, I hope you’ll take a moment to read further for some basic information on ADHD. Does ADHD only occur in children? No. Although there have been innumerable reports on the rising rates of diagnoses in school-aged children, ADHD does affect adults as well. Recent estimates are as high as 8 million adults with ADHD in the U.S. alone. Greater understanding of the disorder in the medical community has brought attention to the often undiagnosed occurrences in adults – and providing a variety of treatments for those who have struggled with a condition that has been unknown to them for their entire lives. Is ADHD caused by poor parenting, or the lack of proper classroom attention by teachers? NO. This is probably the most widely circulated – and harmful – myth regarding ADHD. Medical evidence has discovered a genetic link to the disorder, and those who have been diagnosed have often witnessed similar characteristics in members of their immediate and extended family. It has also common that a parent will be diagnosed only after their child has been – finally understanding that their lifelong difficulties were not due to fault of their own, but an undiagnosed condition. As far as we have come, socially and scientifically, in understanding the causes and treatments of ADHD, we still have miles to go. For every parent, teacher, and child, each step we can take to be more compassionate and understanding is a lifeline to those who live each day with the unique challenges of this disorder. ADHD Awareness Week is a positive step, but as we honor the spirit of this week, it is important to remember that for those living with ADHD, it is a lifelong struggle. The Water Cube was filled to capacity, with thousands of fans waiting in anticipation to see one of the greatest Olympians of all time take the starting block. At the 2008 Summer Olympic Games in Beijing, U.S. swimmer Michael Phelps was under intense pressure, but you wouldn’t have known it. Amid his anxious competitors, Phelps calmly stretched his arms, adjusted his goggles – seemingly oblivious to the hubbub of the stadium’s crowd, and the watching eyes of a global audience of millions. His concentration before each race would become a thing of legend, a frequent conversation topic among sportscasters and his fellow athletes. Blocking out the distractions, Phelps prepared to achieve what he came to Beijing for – to win gold, and to become the most successful Olympian in history. With a 1000-yard stare, he stepped onto the block, knelt into starting position, and swam into the record books. When Phelps stood on the podium to accept his medals, he represented his country, and his sport – but he also represented a community of people for whom he has become a role model, those with ADHD. In the mindset of the general public, there is a great deal of misinformation about ADHD, a neurobehavioral developmental disorder. Most are generally familiar with the characteristics – impulsive behavior, inability to concentrate, and difficulty to remain on task, but there is little social awareness of the significant challenges faced by ADHD children and adults alike. Phelps’ success, and his candid acknowledgment of his personal struggles, has marked a noteworthy moment in the social acceptance of the disorder. He has also proven what psychologists have noted (but rarely studied) during the past decade – for children with ADHD, involvement in sports has shown to improve their daily lives far beyond the playing field. For children with ADHD, sports can become a haven from the ‘negative feedback’ they receive in other situations. (Some experts have estimated that children with ADHD encounter up to half a million negative comments a year – an alarmingly high statistic.) Activities such as swimming and martial arts have proven successful treatments (in conjunction with scholastic coaching, therapy or medication regimens) due to the intense concentration it engenders. This sports-driven focus extends to home and school life, as children are able to better control their impulsiveness and enjoy higher productivity as a result. Another benefit of athletics is the opportunity to release the excessive energy that is a hallmark of the disorder, but doing so with a greater goal in mind. On the field, children also learn to better control their bodies, improve their decision making abilities, and are more capable of developing meaningful social relationships. Although sports should not be a replacement for other therapeutic methods, Phelps’ has given credit to his swimming regimen for the successful management of the disorder without the aid of behavioral medication. There is still a great deal of research necessary before doctors (and parents and children alike) will be able to fully understand the causes of ADHD, and the best methods of treatment. While it may be decades before that medical understanding is reached, the positive gains shown by those involved in sports is another piece in the puzzle. Not all those with ADHD have the natural ability – or the desire – to follow in Phelps’ footsteps, but his success has proven to be a symbol of hope – and acceptance – for millions. When he stood on the podium to receive his 8th Beijing Gold, he stood as an athlete, but also as a representation of all that can be possible for those who share similar personal challenges. For tens of millions of Americans, the current debate over health care insurance reform is not – at heart – a solely political issue. It is a question of fundamental rights. Do we, as citizens who pay taxes, vote, and thereby join in the ongoing evolution of our democratic experiment, deserve the right to ‘universal health care?’ And what does that mean? It speaks to the import of the issue – the care of our single most important resource – our health, that citizens have felt so propelled to speak in any forum available to them. The debate is further clouded by economic interests and fear of the unknown and untested. Can the government do a better job than private industry? We do not have an answer to this yet. But it is important to remember, in the midst of all of this, that for those millions of Americans without health insurance, or who are facing chronic illness, a recent diagnoses of cancer and other disease, or a lifelong disorder that requires treatment of some form, this is a debate that strikes to the core. With medical costs spiraling upwards, how will these proposed changes affect them, and their families? One arena of this debate that has not received an equal amount of press is the impact of these changes on those with ADHD or related disorders. To understand that potential impact requires an unvarnished look at the policies currently in place. Recent statistics show staggering numbers of ADHD and related diagnoses in school-aged children – up to 7.8 percent in some studies. The growing body of medical research regarding these disorders’ genetic links and biological markers are proving invaluable for parents and students struggling against social myths regarding the disorder, but they have yet to receive substantial support from the insurance industry or the government. Case in point: many private insurers have not yet adapted their coverage to include psychosocial treatments for patients with ADD, ADHD or a related disorder. Meaning, any treatment regiments suggested by a physician – whether psychological or medicinal in nature, must be paid for – in large part – by the family. In addition, by not supporting the development of improved classroom procedures and behavioral training for parents, any symptoms or challenges that arise out of this diagnosis, rather than being addressed and the potential impact lessened, will continue to create problems into adult-life. This ‘oversight’ is not only in the private industry, but in federal policy as well. Legislation – at a state and federal level, forbids funding for combination treatments – using preventive measures combined with more socially-based methods. Children and Adults With Attention Deficit/Hyperactivity Disorder (CHADD), an organization founded to address the complex issues regarding this and related disorders, has – in partnership with several related groups,proposed 13 Principles to the Obama Administration in the further development of a government healthcare option that will better serve those living with mental disorders. By providing a wider range of financial options, patients will receive preventive care – which supporters believe will reduce later costs associated with under-treated illnesses. For those with ADHD, those expenses can include medication, personal coaching, and the as yet unknown future economic costs of lowered productivity. This is not an easy issue – with both sides raising important points as to the efficacy of the proposed legislation. And there is no single cure-all that will address the concerns. But at it’s core, it is igniting impassioned debates not often witnessed in this country in regards to domestic policy. This is democracy. This is what people are currently fighting to protect. It is a fact that would do us all well to remember. Most people may not consider a college career steeped in Economics courses to be the golden road to happiness. But then again, Charles Schwab isn’t ‘most people’. Founder of the eponymous discount brokerage house, and the 55th richest person in America (according to Forbes magazine), Schwab clearly doesn’t have a problem out-performing the norm. So it make come as surprise to some to learn that for most of his life, Schwab struggled with dyslexia, a learning disorder that affects a person’s reading and spelling abilities. Undiagnosed until he was 40, when his youngest son started to exhibit some of the same symptoms he battled with, Schwab has since become a powerful advocate for increasing awareness and tolerance for others facing this issue. Through his work with the Charles & Helen Schwab Foundation, he has brought national attention to the issue, and the need for greater support for parents and children facing the disorder. In addition to funding learning programs, the Foundation has also brought him back to one of the places he feared the most as a child – the front of the classroom, as he shares with kids how he overcame his setbacks to become one of the most successful entrepreneurs in the country. As a child, medical research of dyslexia was still in its infancy, so Schwab’s difficulties were largely misunderstood and undiagnosed. Troubles with reading comprehension, and the inability to memorize even the briefest passages would ignite a deep sense of inadequacy as he struggled for words in front of his classmates. Feeling ‘a bit slower’ than his peers, it wasn’t until he matriculated at Stanford University that his lifelong interest in Economics helped him to focus on his strengths, despite flunking French and freshman English (twice). Acknowledging that dyslexia is a lifelong condition, he stresses the need for supportive teachers and parents in helping a child with the disorder to truly succeed in the classroom and beyond. Recent medical advancements have helped to foster awareness of the genetic causes and physical symptoms, leading to earlier diagnoses – a step Schwab believes is crucial in guiding a child to success. 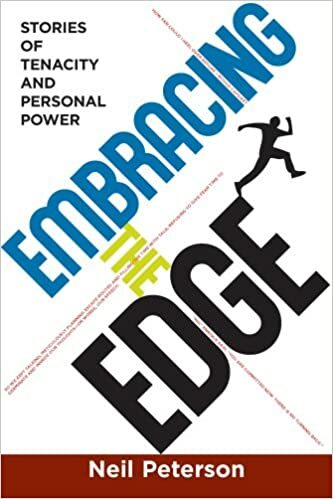 While he is honest about the painful struggles he faced during his youth, Schwab’s classroom lectures focus instead on the wisdom he has gained, the methods he used to cope and overcome, and the great heights to which other, fellow dyslexics have reached. Along with Virgin CEO Richard Branson and Cisco System’s John Chambers, Schwab is one of a handful of business leaders sharing their stories. With current estimates of up to 15% of the population being affected by dyslexia, or a related disorder, their honesty and influence is marking a sea-change in the way society will view those troubled by similar difficulties.